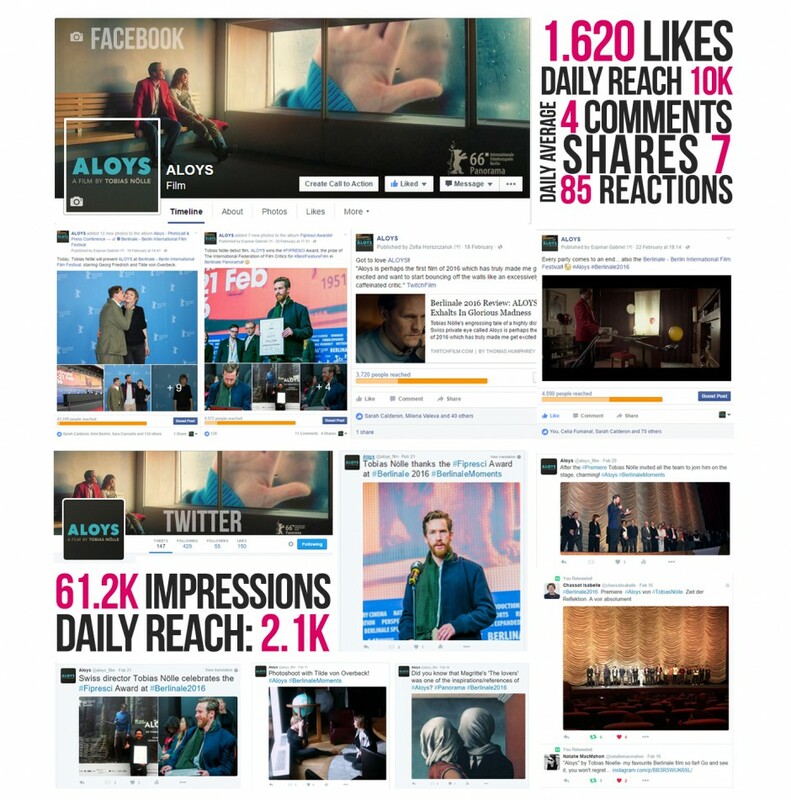 The Film Agency managed the film social media campaigns for five films during Berlinale 2016, including the Silver Bear for Best Script Award Winner United States of Love and Aloys (Fipresci Award), Rara (Generation Award), El Rey del Once (Panorama opening film) and Starve your dog. We have followed the talents’ presence in Cannes generating backstage pictures, creating echo of the international film press and creating adhoc tailor-made creativities for key quotes. 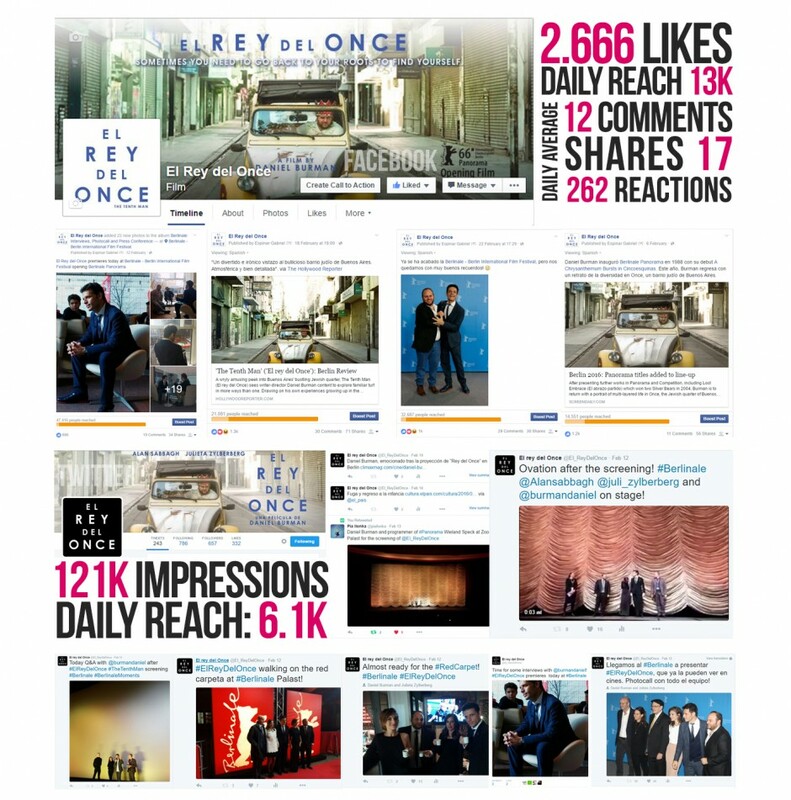 The publications were included in Facebook and Twitter gaining engagement in these key weeks of the launch and building a solid social media community for the future releases of the films. Our work was supplied for key international sales agents like New Europe Film Sales, Latido, Film Sharks and Paul Thiltges. 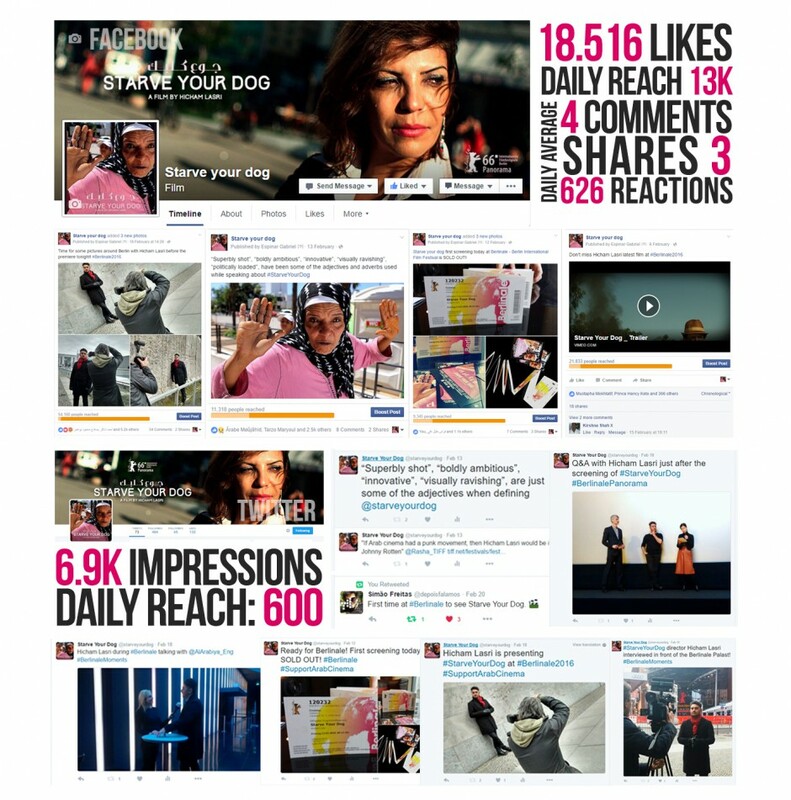 The film social media management was tightly coordinated with top-notch PR partners such as Wolf Consulting, Claudia Tomassini or Violeta Medina. United States of Love took the Silver Bear for Best Script. Apart from this award, the film got fabulous press reception: Tomasz Wasilewski was included in the Variety 10 talents to watch, Screen Review highlighted the ‘Strong female performances and hugely distinctive visuals’, while The Hollywood Reporter said: ‘The confident work of a fast-maturing young film-maker with a strong voice and a sharp visual sense’. It also created quite a stir on social media: 223K weekly reaches on Facebook and 65k tweet impressions on Twitter speak for themselves. New Europe Film Sales closed several deals during the EFM including: UK (Matchbox), France (Sophie Dulac Distribution), Italy (Cinema SLR), Brazil (Imovision), Spain (Golem), Greece (Strada), Ex-Yugoslavia (MCS), Benelux (Contact), Sweden (Triart), Portugal (Films4You), South Korea (Brandon Young Ent. ), Turkey (Bir), Switzerland (Xenix), Bulgaria (Bulgaria Film Vision) and Taiwan (Flash Forward). The Fipresci Panorama Award went to Aloys! Tobias Nölle’s debut feature, ALOYS wins the ‪#‎FIPRESCI Award in the Panorama selection. The film also received very good reviews. ‘This movie represents filmmaking with its thinking cap on, and its use of techniques is almost clinical in its brilliance’, said Twitchfilm while Cineuropa wrote ‘A mysterious and powerful film that works as an antidote against banality’. 86k weekly reaches on Facebook and 57k tweet impressions on Twitter suggest that social media buffs agreed with critics. New Europe Film Sales has sold the film to UK (Eureka), Atera (Spain), Taiwan (Flash Forward) and Benelux (Contact). The Swiss distributor is Outside the Box. 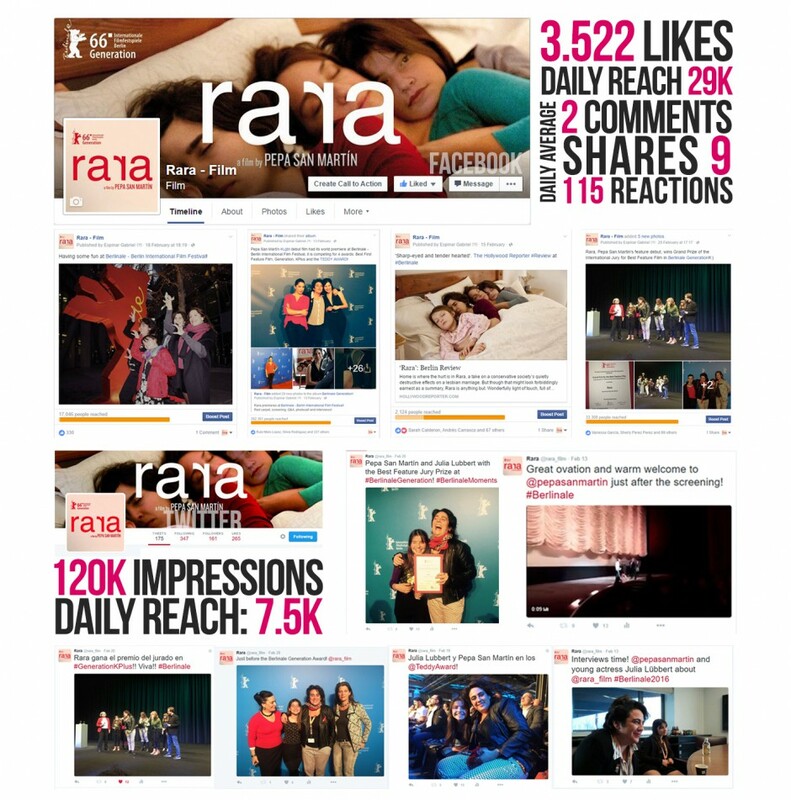 The Generation Award went to Rara: Pepa San Martin’s debut film Rara premiered at Generation-Kplus and took the Generation Award. The jury had this to say about it: “The acting, the script and above all the direction keep us totally engrossed in this beautiful tale of loyalty, despair, hope and ultimately love in its many forms.” The Chilean film, sold by Latido Films, was also described as ‘Sharp-eyed and tender-hearted’ by The Hollywood Reporter. Here again, social media interest was high: 290K weekly reaches on Facebook and 168k Twitter impressions were quite something in such a short space of time. The film continued its career with a French premiere at the Cine Latino Section of the Toulouse Film Festival. First sales include Trigon (Switzerland) and Nomad (Italy). Daniel Burman’s stunning opening at Berlinale Panorama! This was the fifth time at Berlinale for Daniel Burman, whose Lost Embrace won a Silver Bear in 2004, where it was one of the most highly acclaimed films that year. This time around, the prolific Argentinian director opened the Panorama Section with his latest work El rey del Once. Of it, The Hollywood Reporter had this to say: ‘Atmospheric and well-observed’ and Screendaily also chimed in to point to its “eye for cultural detail that feels authentic without being folkloric’. The virtues of Burman’s offerings were not lost on social media either. 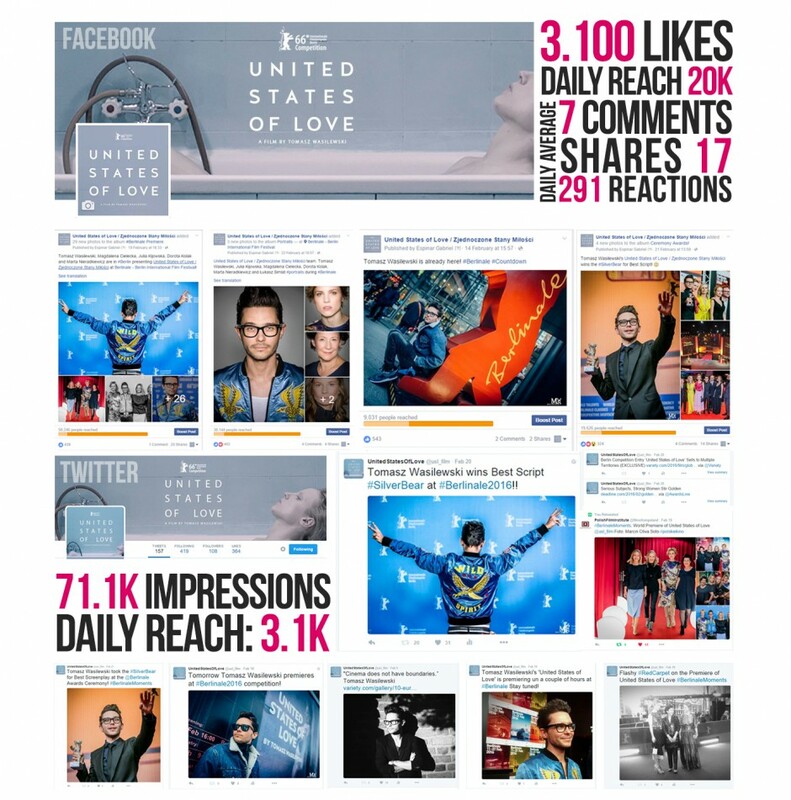 It garnered 60K weekly reaches on Facebook and attracted no fewer than 297k Twitter impressions. Starve Your Dog or how Arab Cinema goes punk “Superbly shot”, “boldly ambitious”, “innovative”, “visually ravishing”, “politically loaded”, have been some of the adjectives and adverbs used to talk about ‪Starve your Dog. ‘Moroccan director Hicham Lasri summons some notorious evil spirits from his country’s troubled history in this visually dazzling experimental essay film’ said The Hollywood Reporter on its Premiere at Toronto International Film Festival. The film was in the Berlinale Panorama Selection and was considered to be among the 20 best films showing at Berlinale. With 83K weekly reaches on Facebook and over 17K Page links already, those spirits have also clearly reached the social media.